Businesses need certainty on what will happen when the UK leave the EU. 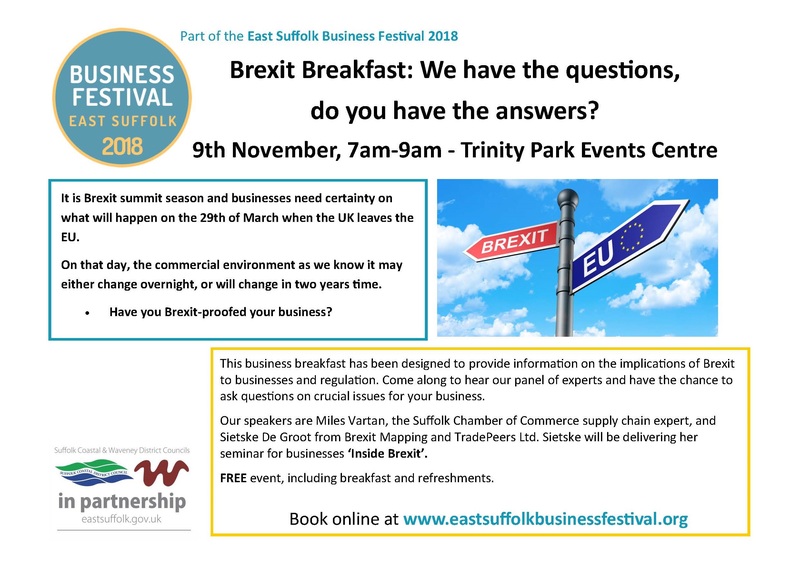 The breakfast will provide information for businesses on the implications of Brexit. Come along to hear from experts and have the chance ask questions. Th event is free, including breakfast and refreshments.